Easter Sunday is the highest and holiest day of the year. It’s the Super Bowl Sunday for the church! It’s the day that we gather to marvel at an unspeakable mystery. It’s the day that we proclaim with millions of believers around the world that Christ is risen…risen indeed! But as early as the third and fourth centuries, our sisters and brothers in the faith recognized that Easter was not something that we should casually stumble into. Instead, it deserves our deepest and most deliberate spiritual attentiveness. That’s where the season of Lent comes in. The 46 days prior to Easter is a period of spiritual preparation and readiness. Many people will give up certain comforts or pleasures, in order to sharpen our minds attention and hone our hearts affection toward the One who will be crucified for our transgressions and bruised for our iniquities. For others, instead of giving up something, we take up something. We take up a new practice or discipline each day through prayer, or scripture reading, or exercising specific acts of mercy or compassion toward others. The week prior to Easter, you will have the opportunity to experience three distinct worship services. Each service, in its own way, designed to prepare our congregation for resurrection Sunday. 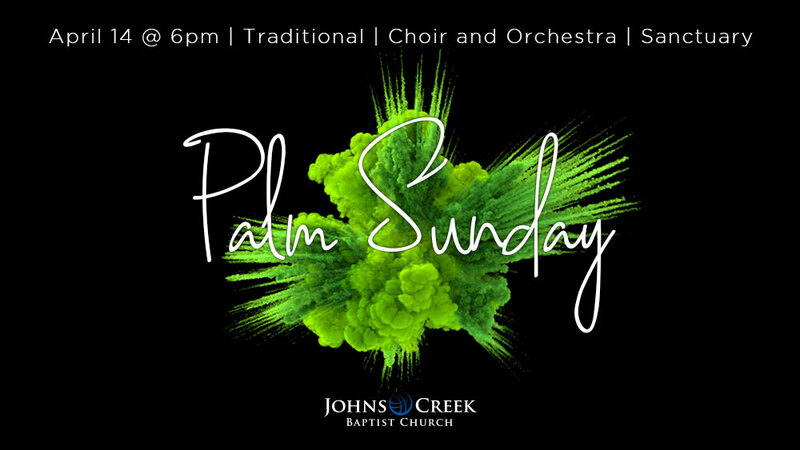 A traditional worship service on Palm Sunday night featuring our choir and orchestra. A Maundy-Thursday service on Thursday evening celebrating the Lords supper. 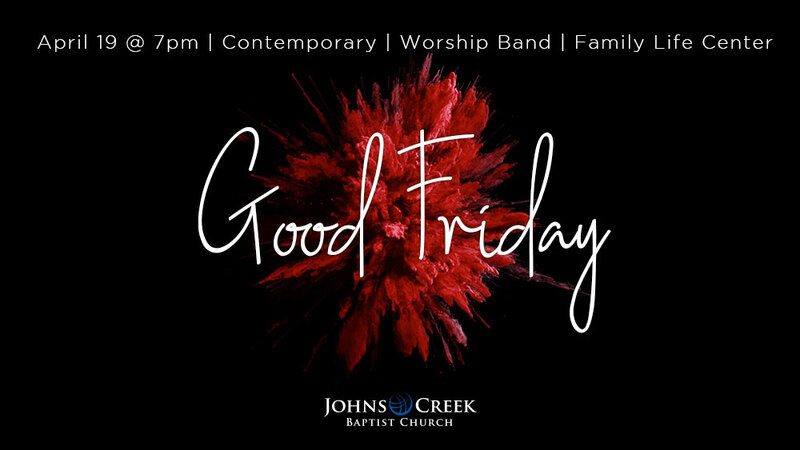 A contemporary worship service led by our worship band on the night of Good Friday, focused on the passion of the cross. 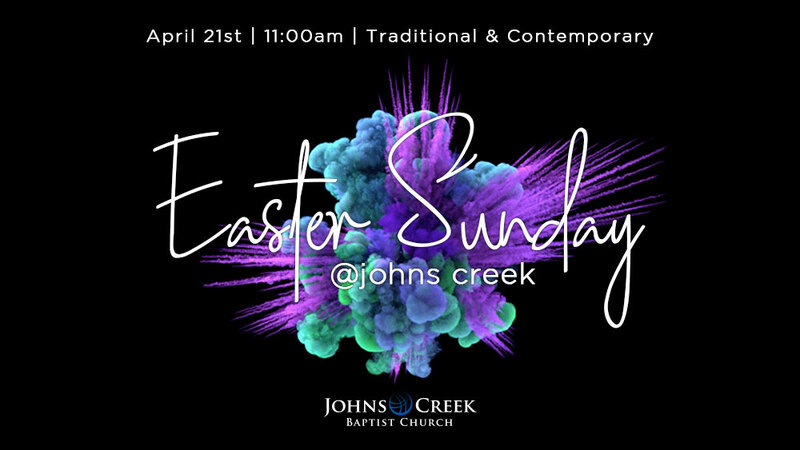 On Sunday morning, April 21st, JCBC will join millions of Christians around the world as we celebrate the resurrection of our Lord. Our gatherings will take place at 11:00 a.m. in each of our two worship venues: The Sanctuary and The Family Life Center. We will offer both contemporary as well as traditional services on Easter, but at 11:00 only. There will be no Sunday School on Easter morning. As a courtesy to guests, seniors and those who are physically challenged, I am asking all who are physically able to park as far away from the entrances as possible, as we work together to accommodate the great crowds of worshippers who will join us on that day. Leading up to holy week, you’ll receive a weekly video blog, or Vlog, featuring members of your pastoral staff. Each Vlog will highlight some of the events that transpired on each of the days leading up to Easter, from Palm Sunday to Dark Saturday. You can view each of the Vlogs by clicking on the links, below. 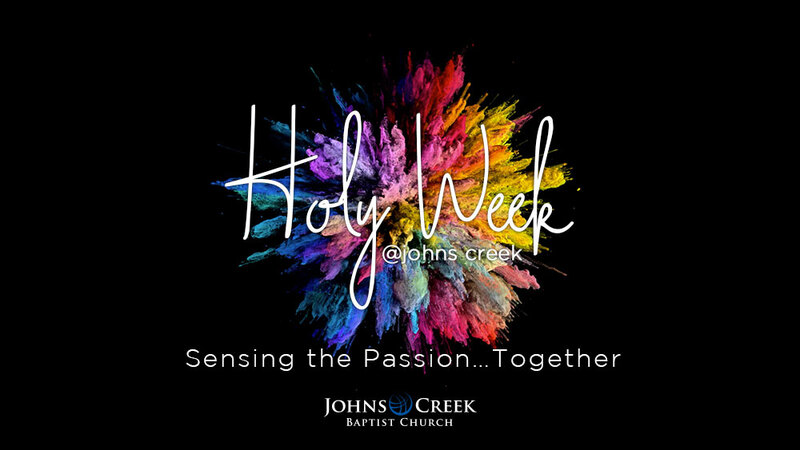 *Childcare will be provided for 4 & under for all special Holy Week Services and Easter Sunday.